Local school districts use less advanced learning oriented tools, creating a great scope for an advanced and powerful Learning Management System like LoveMySkool which can drastically impact learning outcomes beyond just serving as an ERP like incumbent learning tools. Educators across the bay area had constructive feedback to enhance learning even further using technology and positively endorsed our journey and impending impact of LoveMySkool in the EdTech space. Constructive Discussions took place with the educators and IT professionals of Cupertino School District and San Ramon Valley School District manifesting to a positive assimilation of an advanced Learning Management System like LoveMySkool to incredibly amplify the learning processes of the current millennials. A dinner ended up into a collaborative partnership with Mrudula, who has been working in the Event Management space for EdTech in the San Francisco Bay Area for last 2 years. Her immense passion and immediate vision and belief in LoveMySkool makes her the latest champion to join our team as our CMO. October brought us the opportunity to join hands with the following educational institutions. We welcome them to our journey of bringing transformation in the field of education through simplified digital learning. Two new features have been introduced to the LMS software. You can now access all your courses with a single click from anywhere in the system. You can access all Pages (new term for content), Assignments and Tests for a course on a single page. 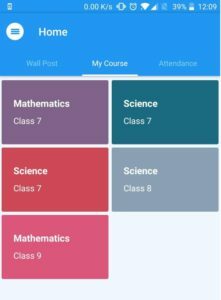 Ability to filter by Module/Topic within the course. Shortly we will add Collections, Student Projects, Lesson Plans and Messages (posts) to the course page. Personalised Learning plan autogenerated by the system for each student. 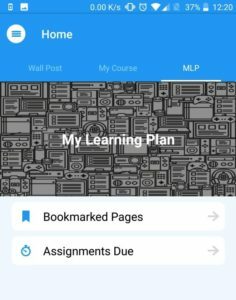 Bookmarked Pages (content) and assignments which are not submitted are a part of the Learning Plan. In the future, we plan to give the teacher the ability to edit/update the learning plan for each student. We also plan to use AI to generate suggested Learning Plan for each student which a teacher can approve, reject or edit.